Our roots begin with the career of our founder, J. Duncan McInnes, IV. For McInnes, the long road in the insurance industry started in 1973 as a property and casualty, and life insurance agent. On May 2, 1974, McInnes joined Massachusetts Mutual Life Insurance Company; where he became a career agent, the youngest Chartered Life Underwriter (CLU) in the State of Missouri at that time, and soon became an agency manager. While at Mass Mutual, McInnes earned a reputation as one of the areas foremost experts in structuring life insurance platforms; and his insight was routinely sought after for complex asset protection, estate planning, and executive compensation solutions. This distinction helped define his career; and today McInnes still serves as a trusted advisor and subject matter expert to clients across the country. In 1980, McInnes left Mass Mutual, and started the agency of McInnes, Schifman, & Remley, Inc. McInnes had always built relationships with integrity and through mutual trust; and he knew that to best serve his clients, he must be truly independent. The new agency originally joined a Kansas City “cluster agency” under the Haas & Wilkerson group. However, by 1986 they had grown to be the largest independently-owned firm in the organization and began doing business unconnected. By the late 1980s, the organization was flourishing as one of the city’s most prominent and successful agencies. The company was known for its solid carrier relationships and ability to solve problems quickly and effectively. After a decade, the partners of McInnes, Schifman, & Remley decided to re-organize as separate entities to focus on independent specialties. In 1991, McInnes founded MSR Benefit Services, Inc., known today as McInnes Group, Inc. He built the agency on the premise that, “We don’t want to be the biggest, but we want to be the best.” The company has grown organically ever since; and is now one of the largest privately-held agencies in Kansas City, with a significant national client base. In 2004, MSR Benefit Services, Inc. was incorporated under the new name McInnes Group, Inc. Today our organization focuses on the core principles set forth by its founder. Our clients always come first, and maintaining their respect and trust remains our highest priority. McInnes Group, Inc. is a boutique agency specializing in hands-on support, customized solutions, and long-term results. We are very proud of our historical successes; however, our eyes are toward the future as we adapt to an ever-changing industry; and provide our clients with cutting-edge consultation and a sophisticated product portfolio. 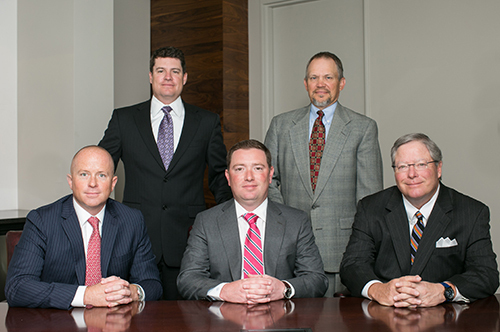 McInnes Group, Inc. includes subsidiaries McInnes Maggart Consulting Group, LLC and McInnes Wealth Management, LLC – offering our clients a full spectrum of insurance and financial services. The McInnes Group story and our achievements would not be possible, if not for the exceptional staff and consultants that make up the McInnes Group family.